Joseph Mifsud, the “professor” in the Russia investigation, denies his role in Papadopoulos’ testimony. 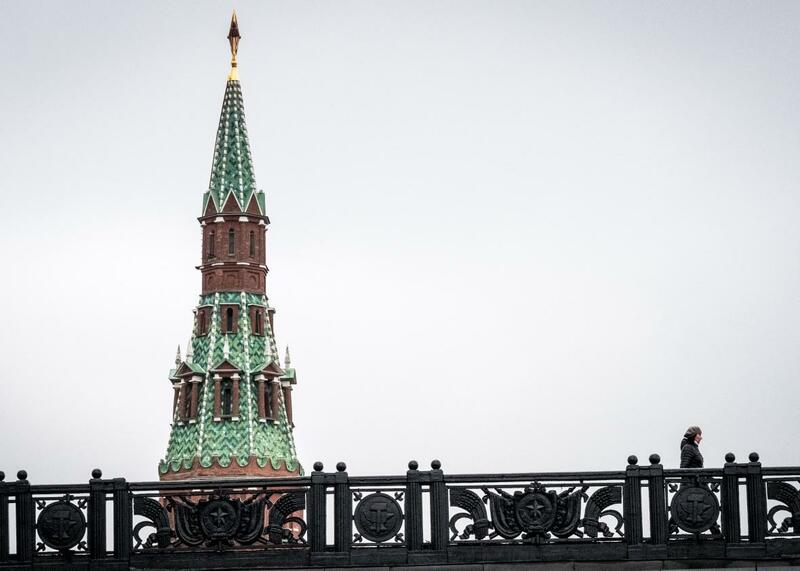 The Kremlin, to which Mifsud may or may not have connections. The man who was called “the professor” in the documents indicting George Papadopoulos, unsealed Monday, has been identified as Joseph Mifsud, an academic of an uncertain background with ties to Malta and political views in line with those of Vladimir Putin. In an interview with the Telegraph, Mifsud verified that he was the professor in the documents but rejected his portrayal in Papadopoulos’ testimony. According to the documents, Papadopoulos told investigators that Mifsud had claimed to have “substantial connections to Russian government officials” and promised “dirt” on Hillary Clinton in the form of “thousands of emails” obtained by the Russian government. It’s unclear what Mifsud’s actual connections are. He has espoused views similar to those of the Russian government, the New York Times reports, and he would attend annual conferences in Russia that Putin would attend. His primary diplomatic experience appears to be work for the government of Malta, where he is originally from, the Times reports. In his online bio (which is, as of the time of this writing, down for “scheduled maintenance”), he has presented himself as the director of the London Academy of Diplomacy, which is now affiliated with the University of Stirling in Scotland. However, the university identified Mifsud as a “full-time, professorial teaching fellow” in the politics department. Here’s how the indictment describes Papadopoulos’ relationship to Mifsud: Papadopoulos, who was an adviser to Trump’s presidential campaign, met Mifsud in March 2016, when the latter promised “dirt” on Clinton. Mifsud brought a “female Russian national,” who introduced herself as Putin’s niece. After the meeting, Papadopoulos then told a campaign supervisor (said to be Sam Clovis) he had met with them to arrange another meeting with “Russian leadership to discuss US-Russia ties under President Trump.” Papadopoulos, Mifsud, and the Russian woman later worked together to try to arrange the meeting. At one point, Mifsud said he would be traveling to Russia to meet with a Russian government assembly; later, he introduced Papadopoulos to someone in the Russian Ministry of Foreign Affairs. Papadopoulos and Mifsud remained in contact. Papadopoulos pleaded guilty on Oct. 5 to the charge of lying to the FBI about the timing of the conversation, as it happened when he was already a member of the campaign, not before. According to the Telegraph, Mifsud said he was “upset” by the “incredible” claims Papadopoulos made. The claim that he introduced Papadopoulos to the Russian woman was absurd, he said. And in emails with the Washington Post in August, Mifsud said he had “absolutely no contact” with the Russian government and was instead just an academic who didn’t even speak Russian. The Post also reported that Mifsud’s former assistant said he bragged about a “short private meeting” with Putin. She didn’t believe him, but she had booked him to speak at the Valdai Discussion Club in Sochi where, she said, he met with people from the Russian think tank Russian International Affairs Council. She said he had a goal to “build a list of Russian contacts and policy-shapers,” according to the Post.